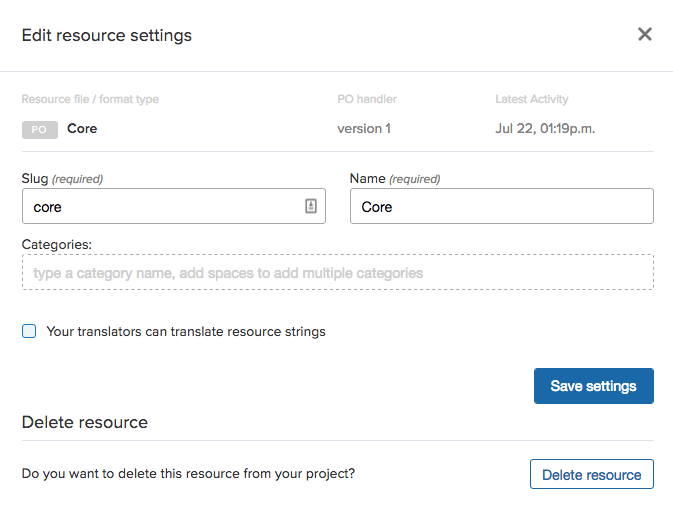 In Transifex, you can lock a resource and prevent translators from submitting new translations or editing existing ones. 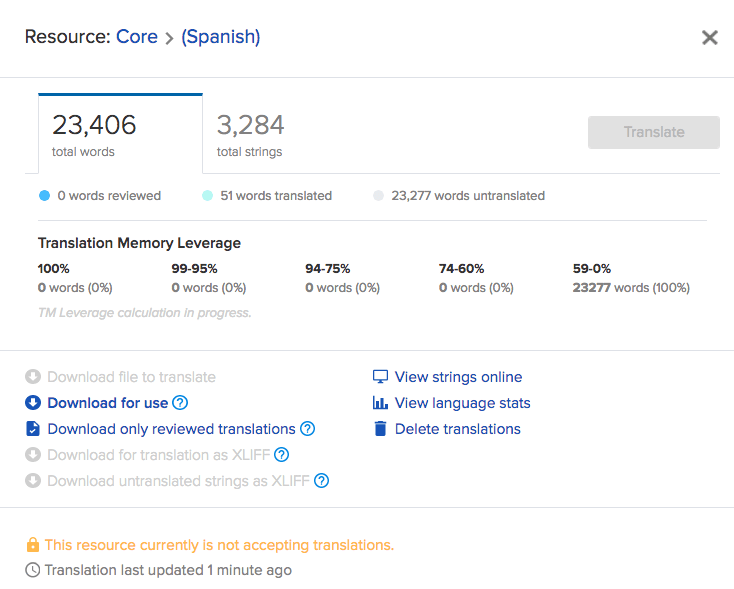 This is useful if you're waiting for new content to be pushed to Transifex and don't want translators work on anything yet, or if you're happy with the translations and don't want any changes before they go live. From the project navigation in the Dashboard, click on the project with the resource you'd like to lock. From the list of resources, click on the one you want to lock. In the popup, uncheck Your translators can translate resource strings. Click Save settings to lock the resource. Note that when a resource is locked, you can still update the source content and download translation for use.